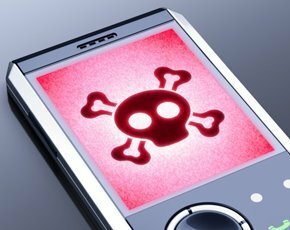 Mobile malware threats increased 163% to more than 65,000 in 2012, according to the latest security report from global mobile internet services provider NQ Mobile. The company warns that the problem is becoming more complex as smarter mobile malware can better target connected devices. Nearly 95% of all mobile malware discovered in 2012 targeted Google’s Android operating system (OS), while the top three attack methods were repackaging malware in seemingly legitimate apps, malicious fake URLs, and SMS phishing known as “smishing”. NQ Mobile estimates that these forms of malware helped infect an estimated 32.8 million Android devices in 2012, an increase of over 200% percent from 2011. The report said that in the first quarter of 2013, mobile malware threats continued to grow and have become smarter, with an estimated 10 million devices being infected with malware in that time. In February, a new type of mobile malware was discovered that could jump from an Android device to infect a PC when they were connected via the USB port. Although only a few Android devices were infected, this attack illustrates the growing need to keep private data secure in an increasingly interconnected device ecosystem, the report said. NQ Mobile security researchers also reported increased collaboration between mobile hackers and cyber criminals. Mobile hackers are using malware to capture consumers’ private information and then selling this information to cyber criminals who are in turn using social engineering tactics to gain access to the consumers’ finances, the report said. Researchers found that 28% of mobile malware discovered in 2012 was designed to collect and profit from a user’s personal data. “The security industry’s ‘discover-first-and-inoculate-second’ strategy is no longer enough,” said Omar Khan, co-chief executive at NQ Mobile. “We need smarter systems that can discover threats before they infect consumers as well as more education so consumers can better spot and avoid these new mobile scams,” he said.